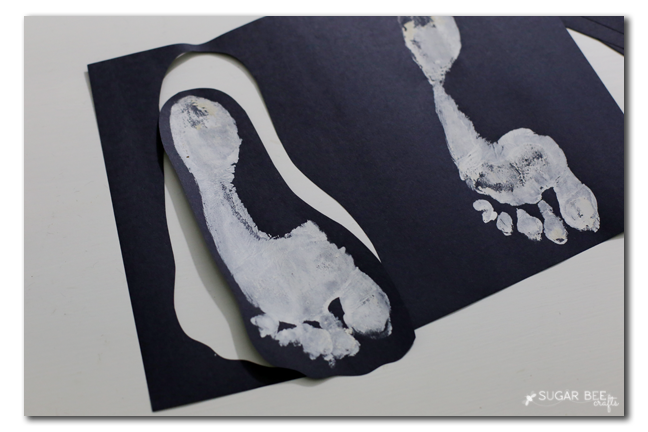 I love that we can use it year after year and compare those little footprints as they grow older. 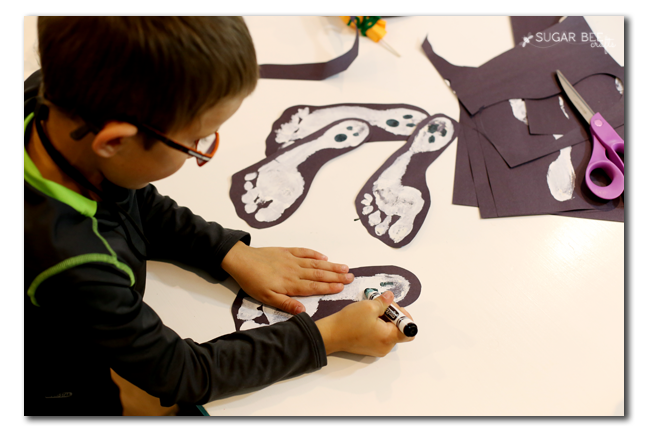 And I love that this is a craft that all ages really want to get involved in! I suggest putting down a large piece of cardboard or plastic to protect your workspace during painting - we used our garage. 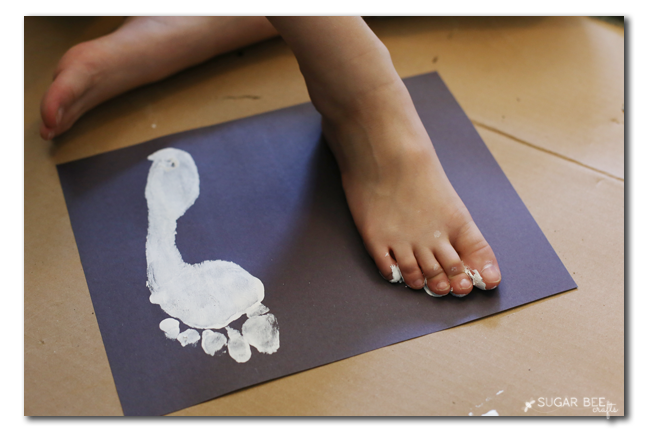 Pour your paint out and using a foam brush, paint the child's foot. 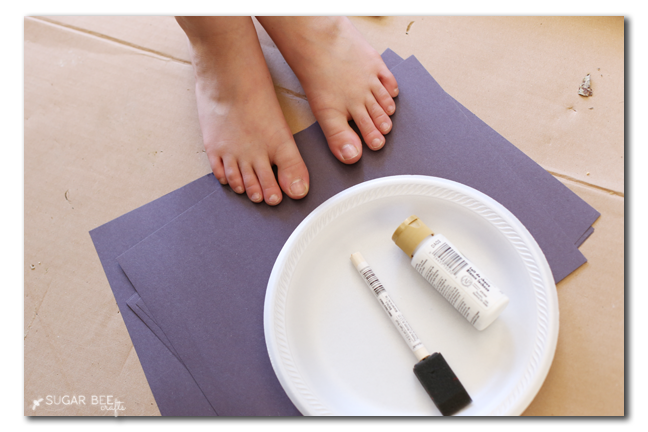 If you have several children working on the project, they can paint one another's foot (it's hard for them to paint their own because it's hard to bend and reach around). Next they will step onto the black paper and press firmly. 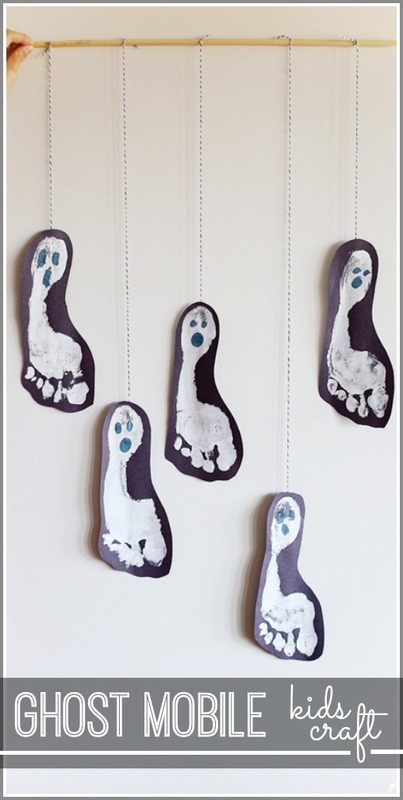 Then pull the foot away, repaint, and repeat until you've made enough ghosts for your mobile. NOTE: if you want your mobile to be double-sided, you'll need to use both the right and left foot, then tape the cutouts together back-to-back. 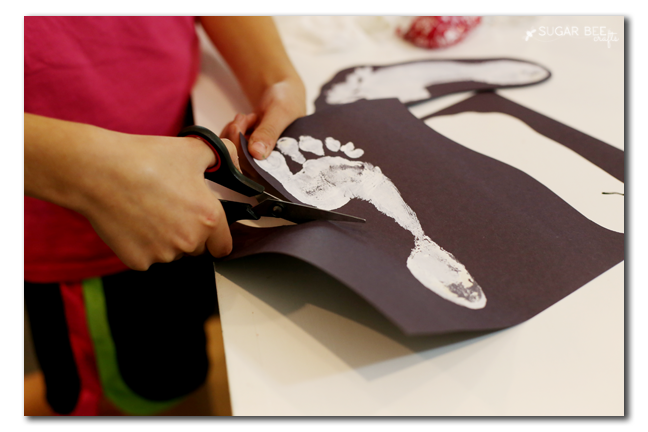 When dry, have the child cut around the edge of the footprint - they don't need to cut it exactly, just a general shape. Next your child will draw on eyes and a mouth with circles using a black marker. I just love the concentration of kiddos in crafting mode! 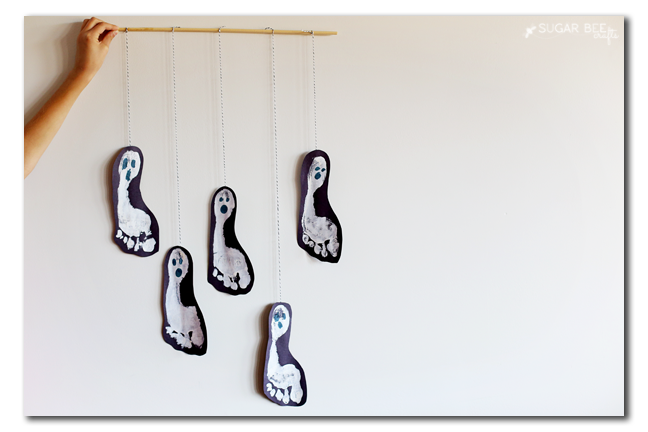 To make the mobile, we taped twine to the back of the ghost and then tied it around a dowel rod. That's it! 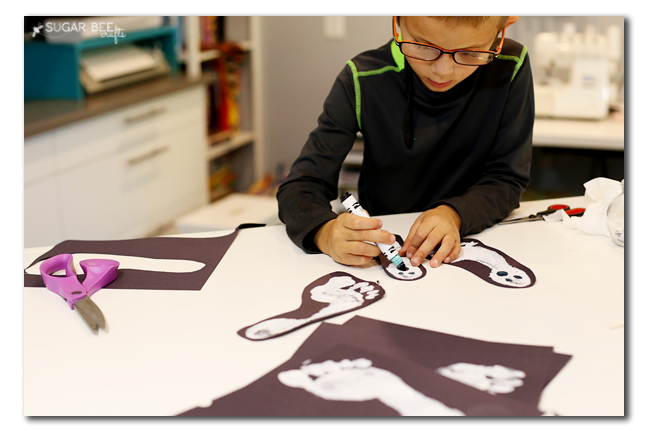 Enjoy your new decor - the kiddos will love to see their project displayed in the home! I'm Mandy and I blog at www.SugarBeeCrafts.com where you can find simple crafts and DIY projects. 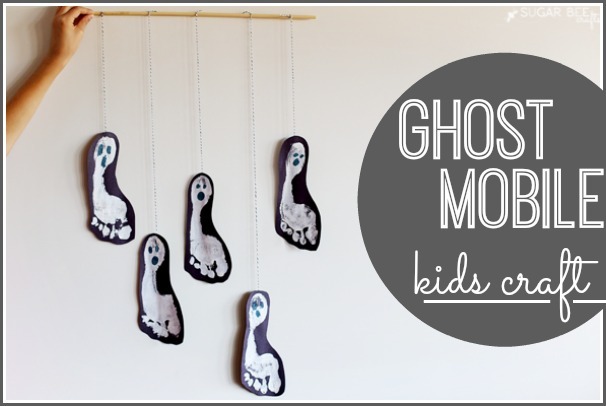 I'm excited to be contributing monthly kid crafts ideas here at Kansas Living!